To describe Axel Samano is a very complex task. 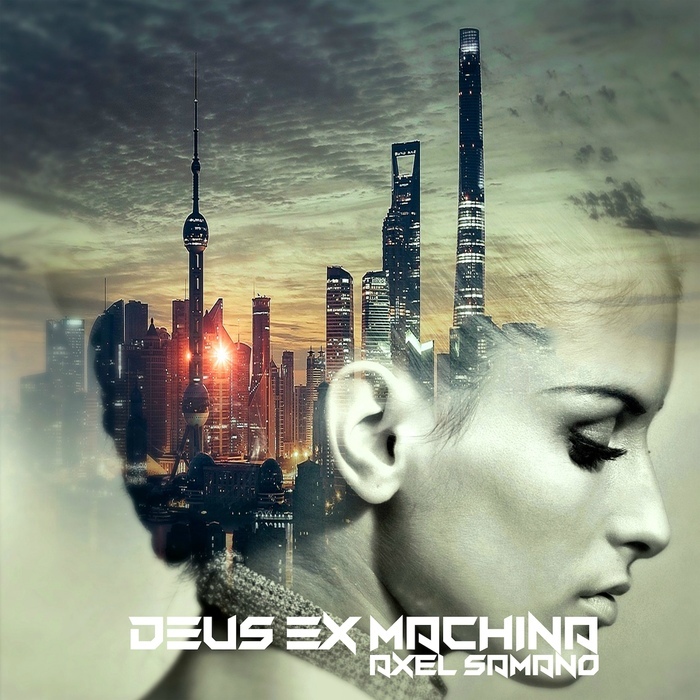 The double CD Deus Ex Machina presents to the public two parallel visions of Axel: Deus Ex Machina: Antikythera is a CD where the listener will enjoy several musical genres such as EDM, EBM, Synth-pop, Future-pop and Rock. Each musical theme describes the impersonal experiences of Axel Samano. Deus Ex Machina: The Storyteller is a disc full of emotional tension and, according to Axel, this disc is without a doubt his best creation up to now. The Storyteller is the opposite of a silent movie. It has a story line with music and narration; pictures are left to be developed by the listener. This album is an EPIC MUSICAL NOVEL. Each track tells part of a story and the whole album tells the full story—it’s like reading a book. Each song is a chapter.